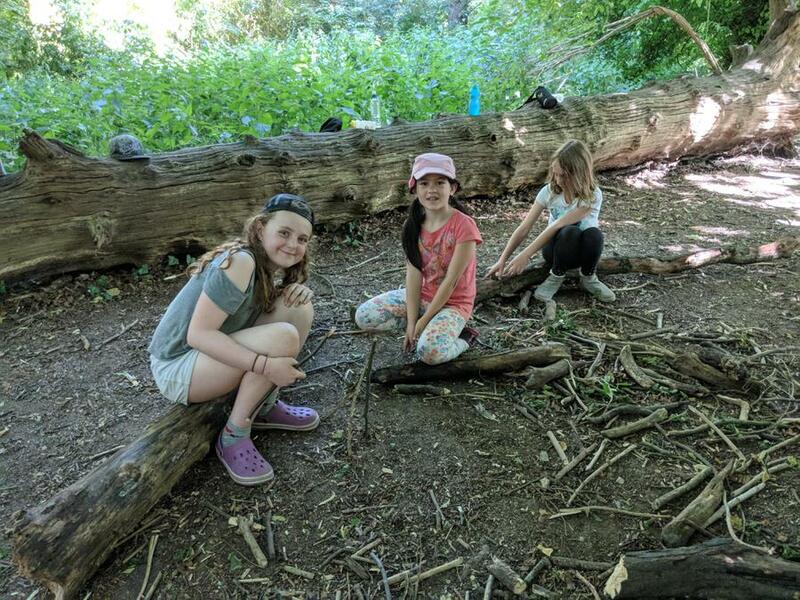 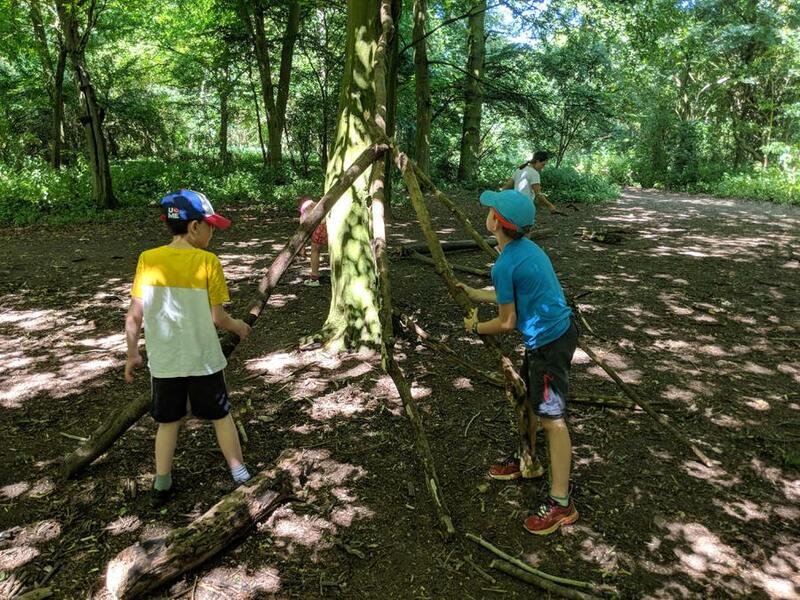 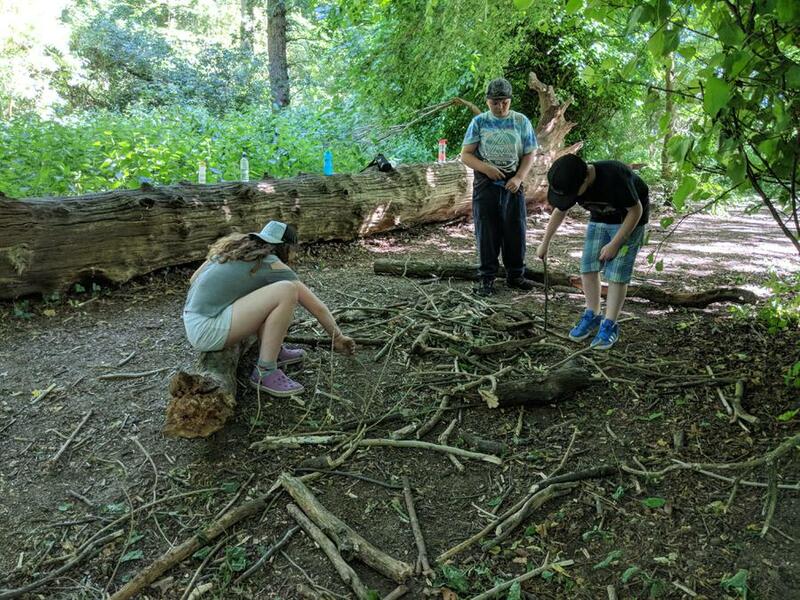 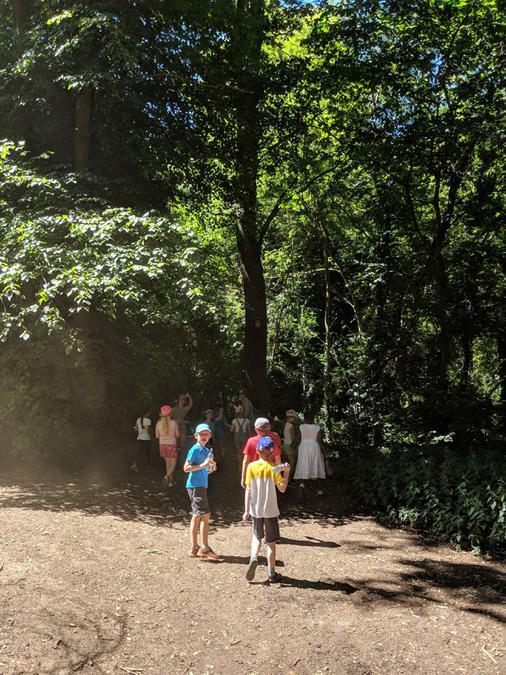 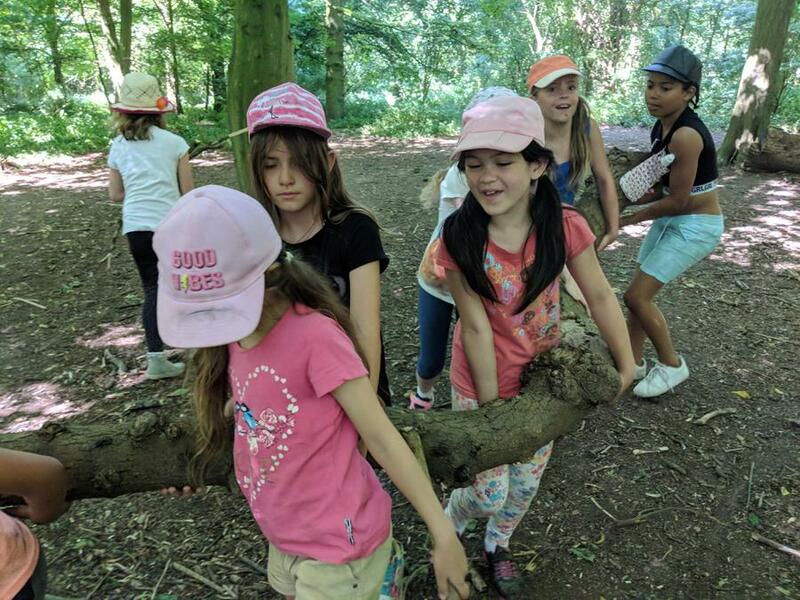 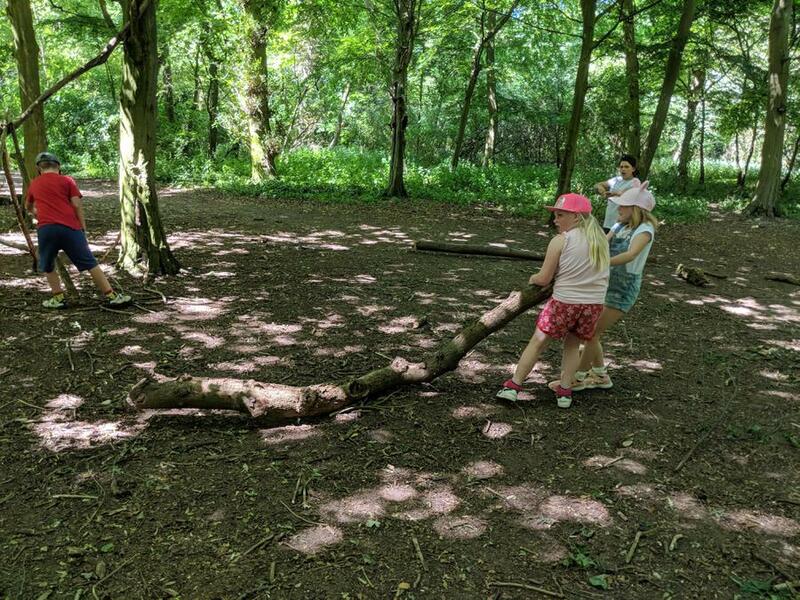 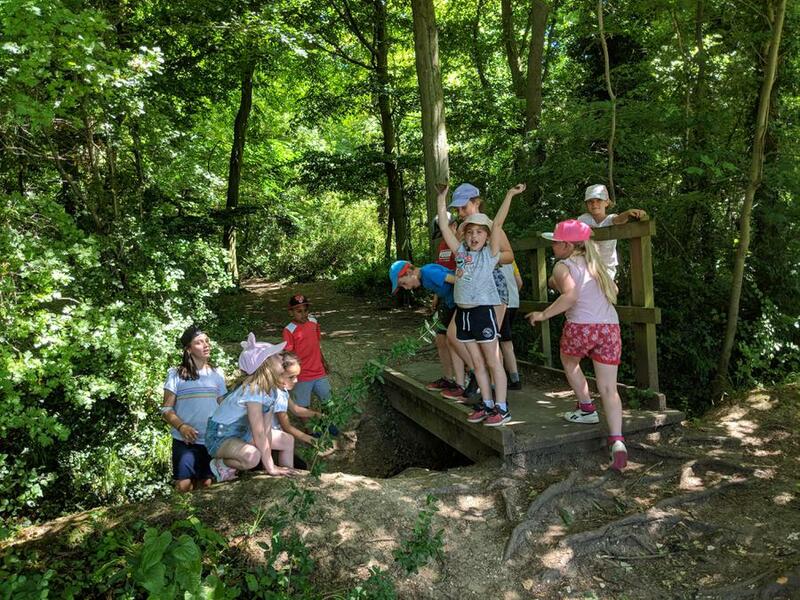 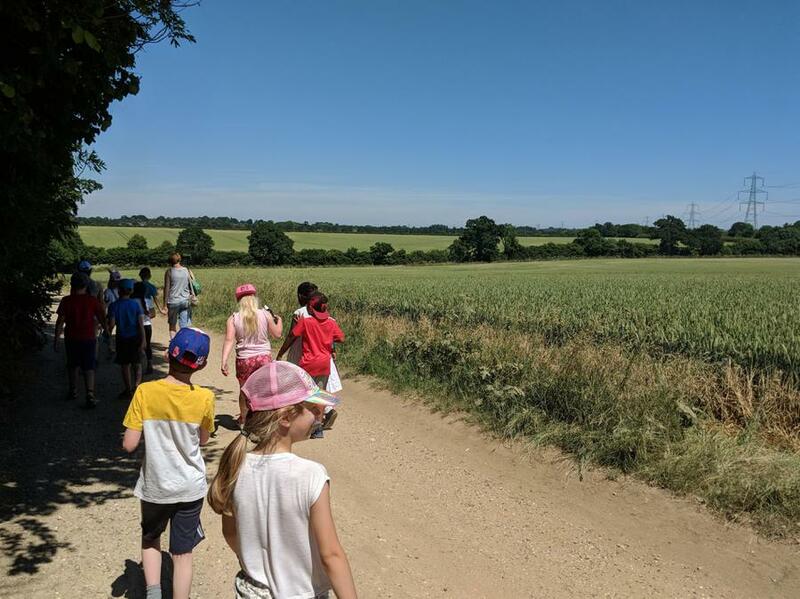 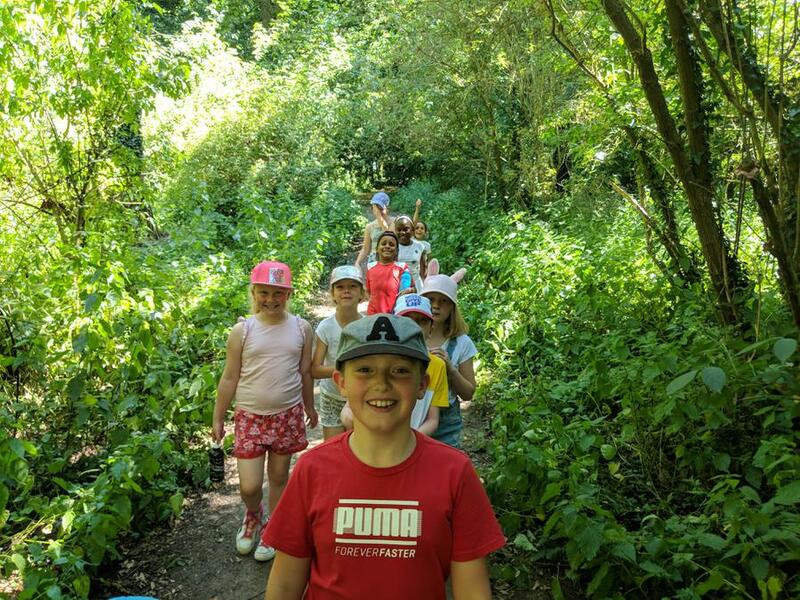 Our trip to Wymondley Woods got off to a great start with a lovely walk through fields and across trails, meeting lots of wildlife and enjoying the picturesque setting. 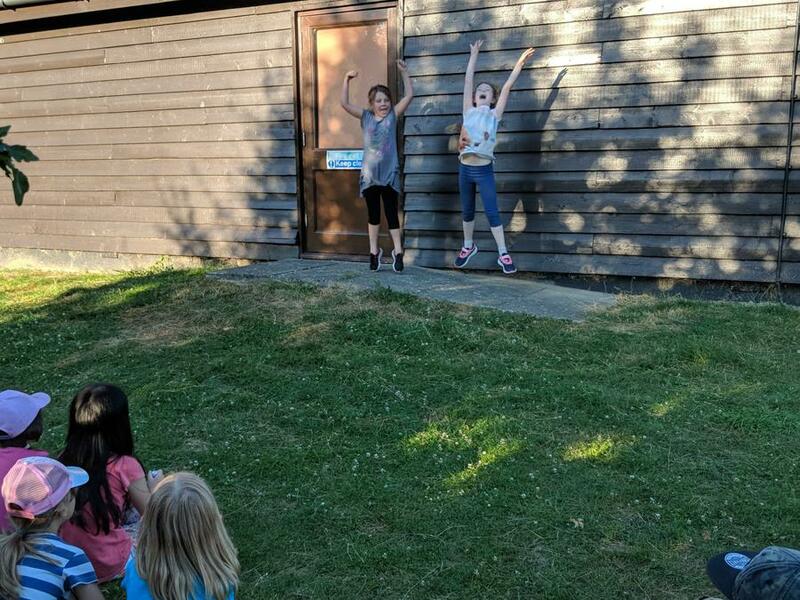 There was even the chance to wave at a passing train! 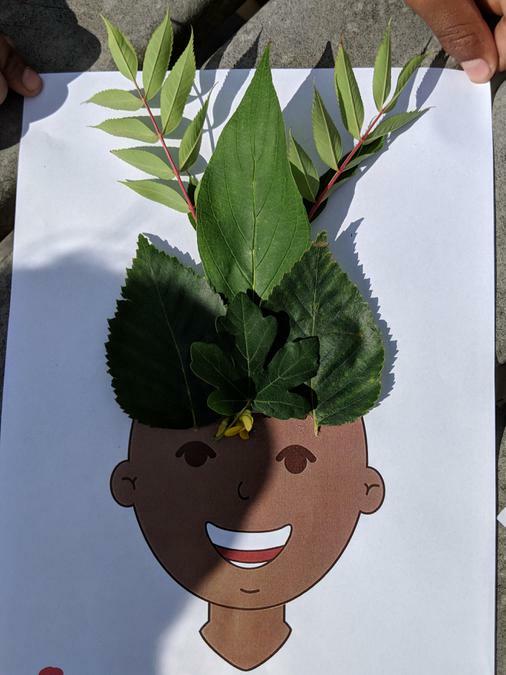 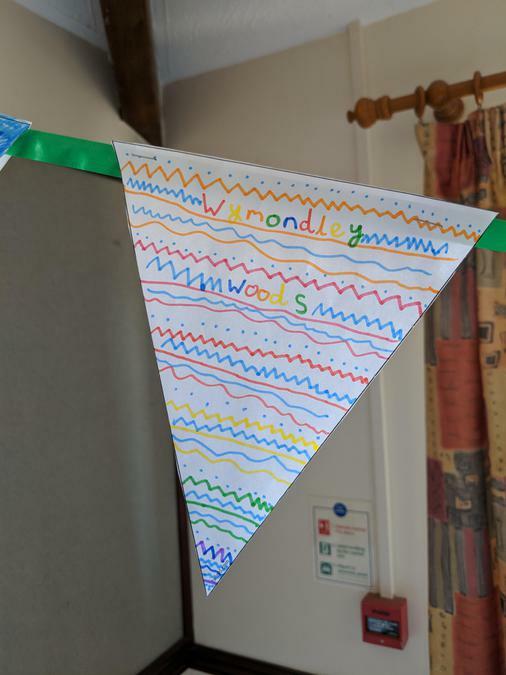 This afternoon has started with den building and art activities inclyding creating our very own Class 3 Wymondley Woods bunting! 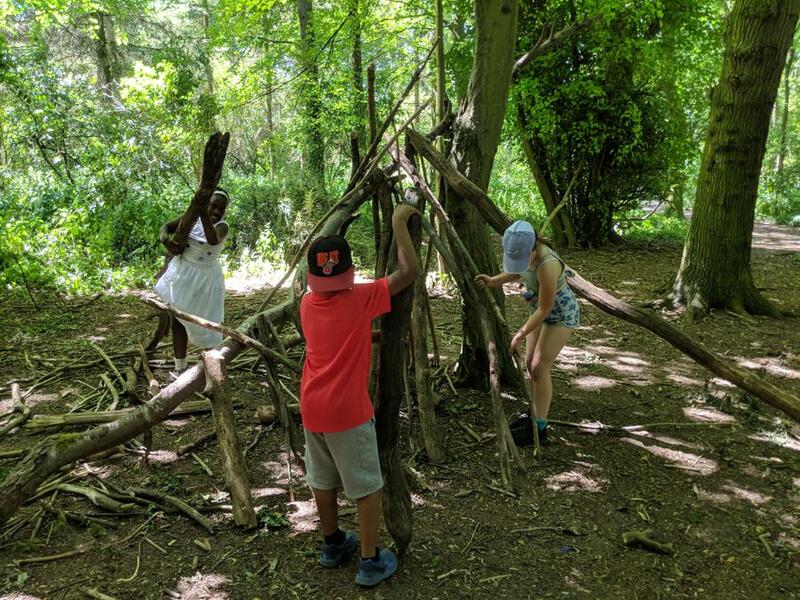 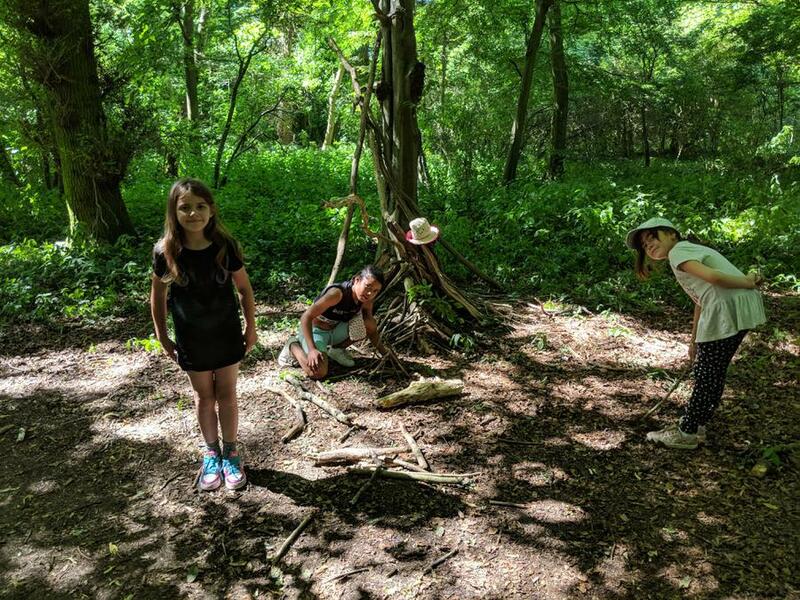 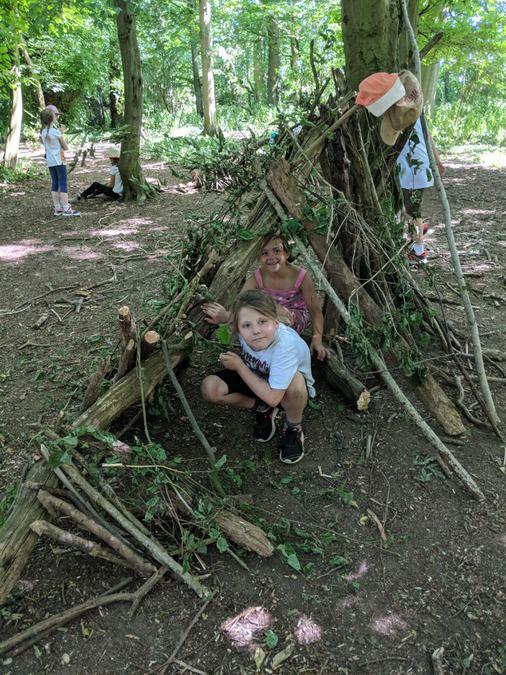 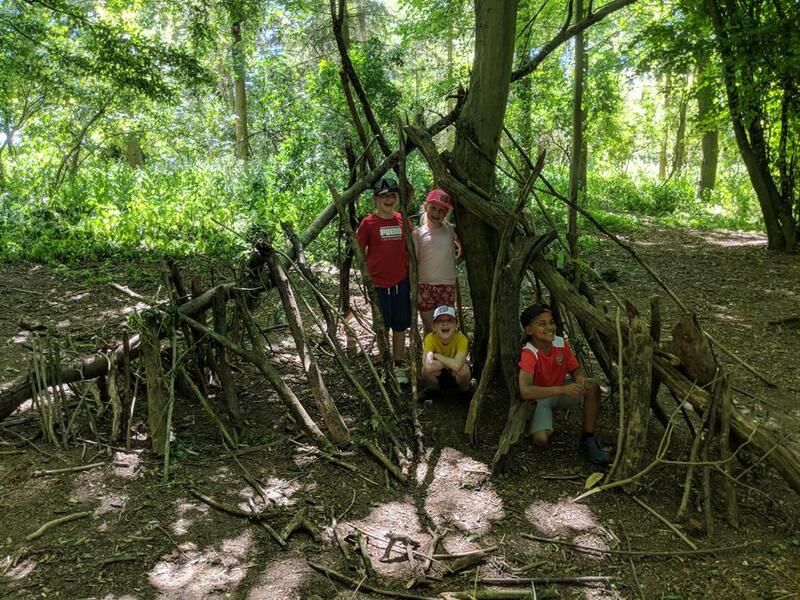 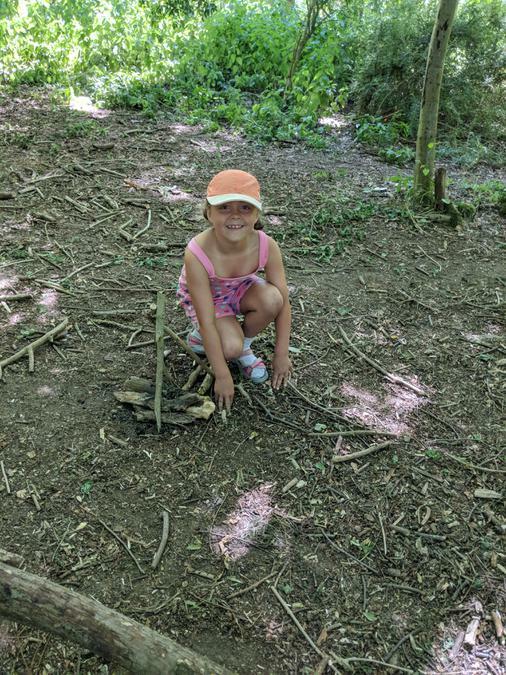 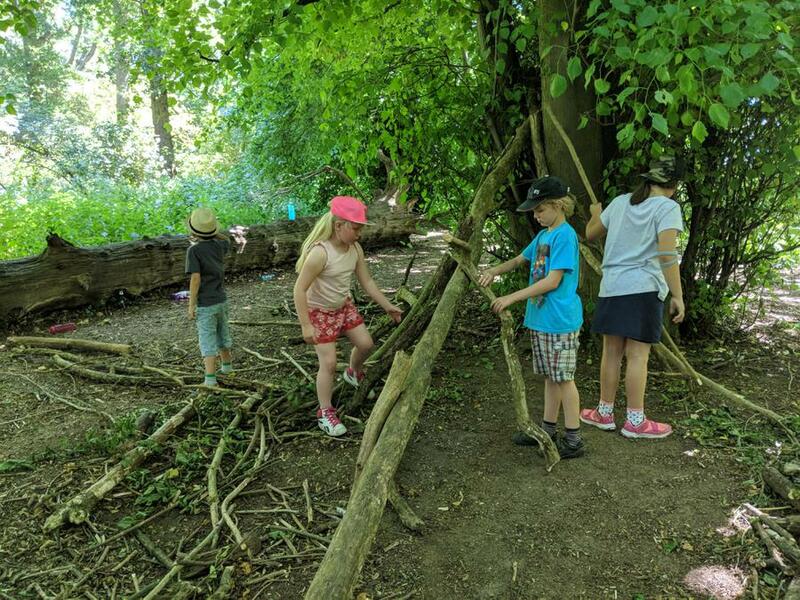 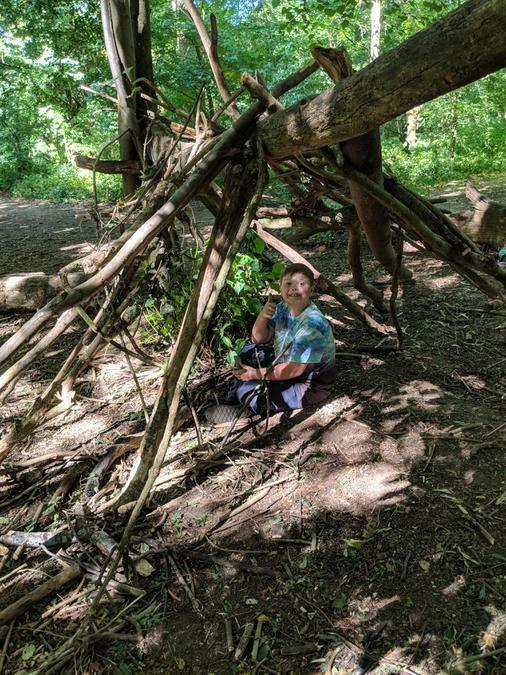 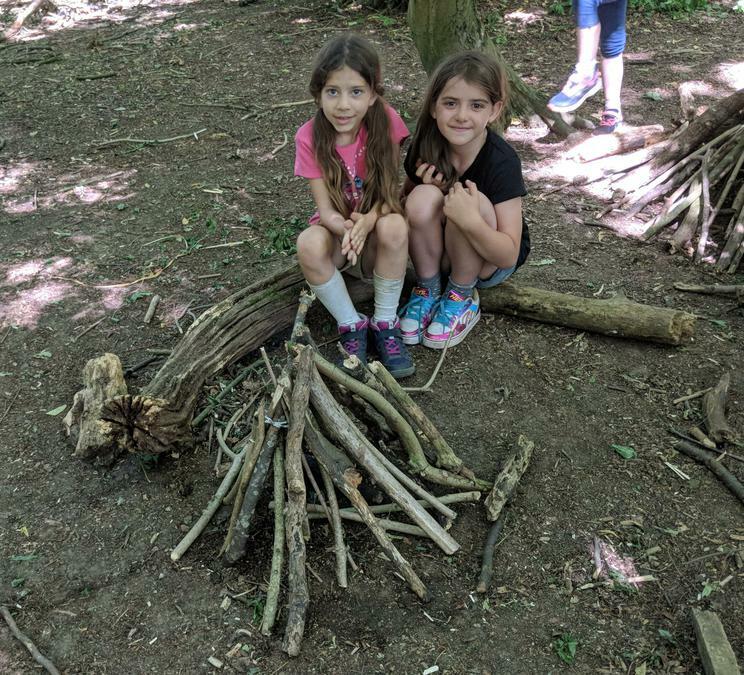 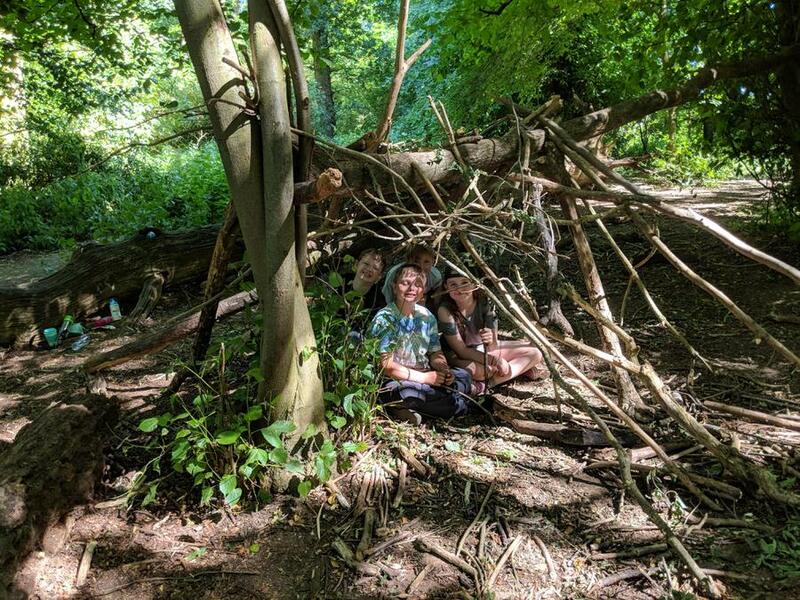 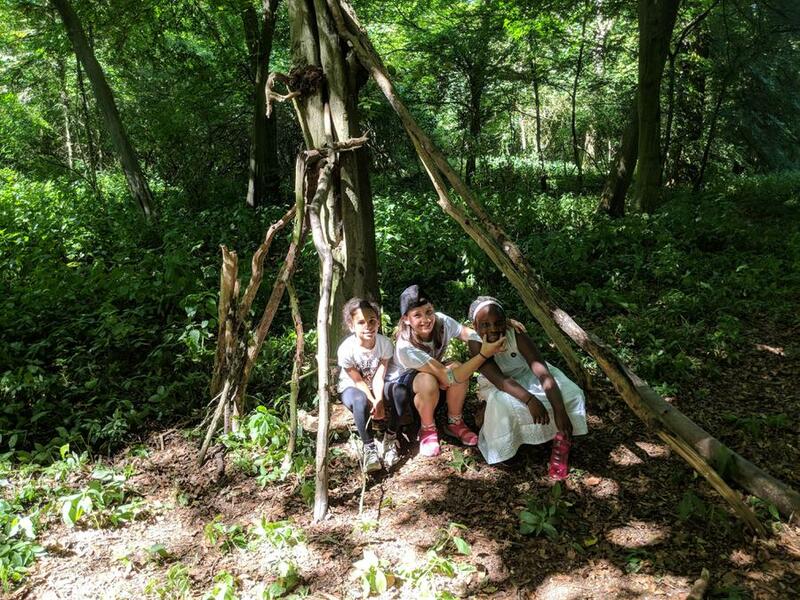 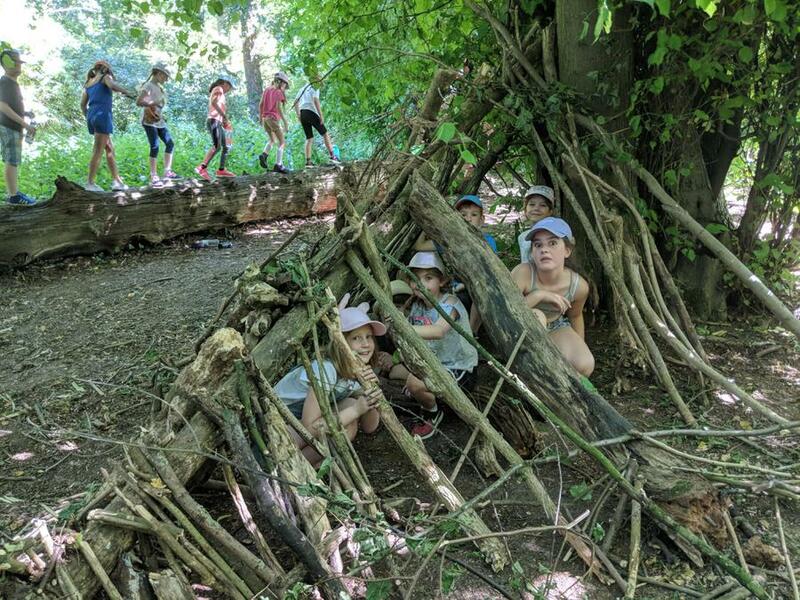 Some spectacular dens have been completed with plenty of woodland exploration too! 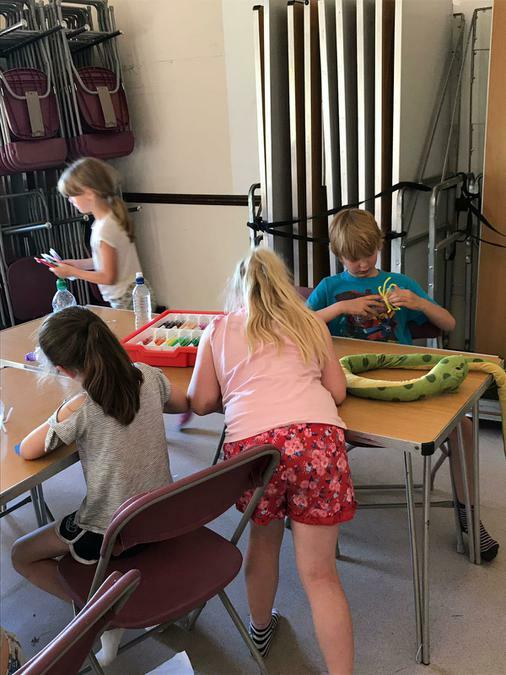 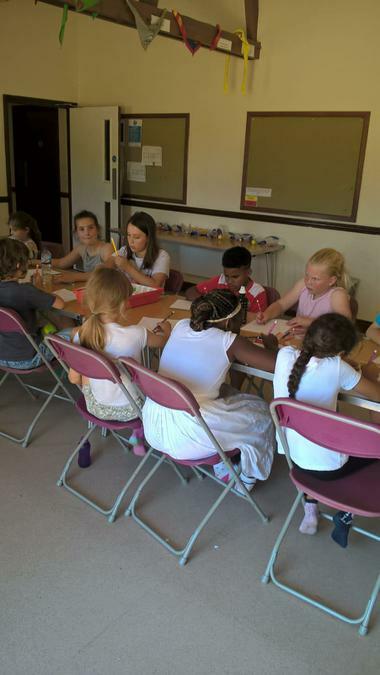 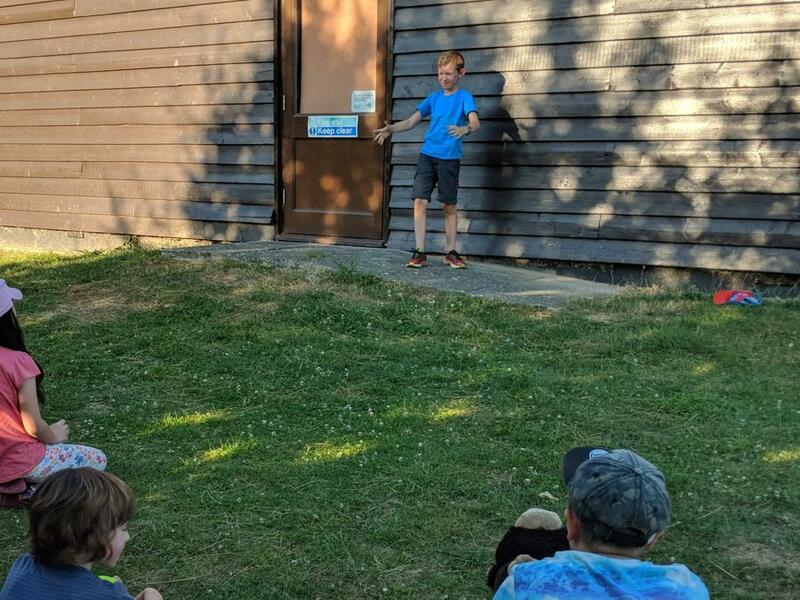 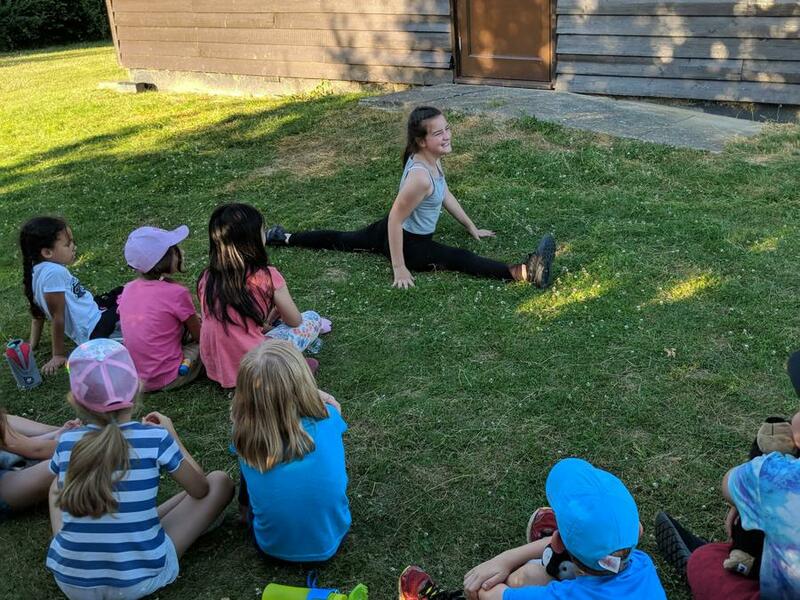 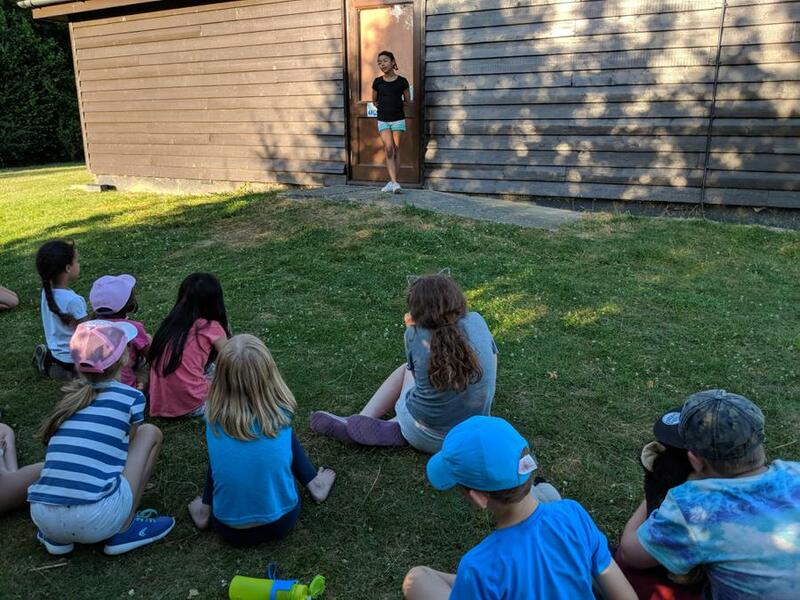 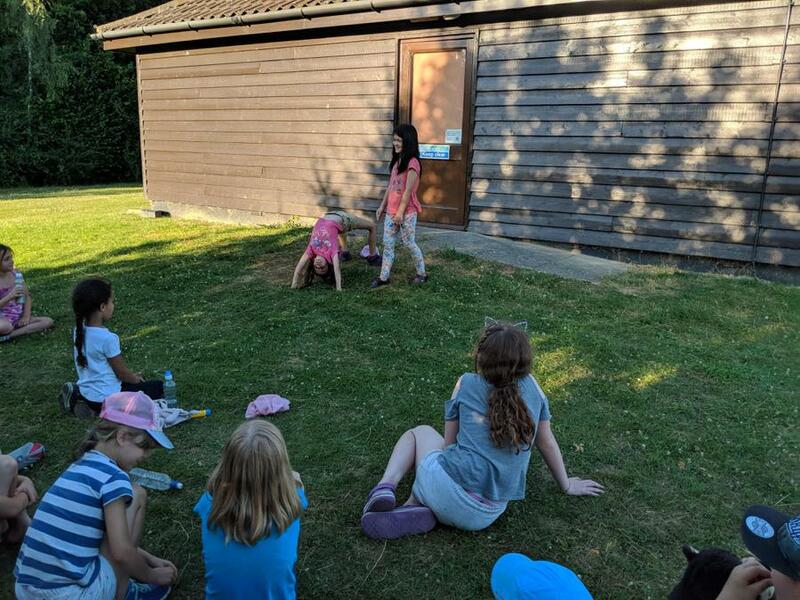 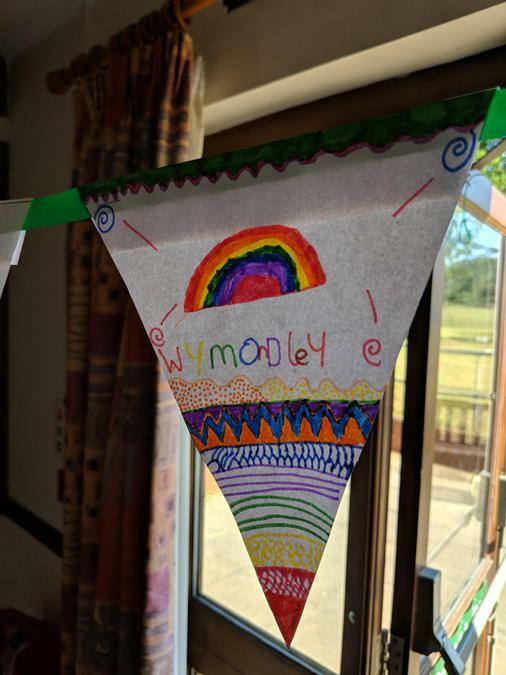 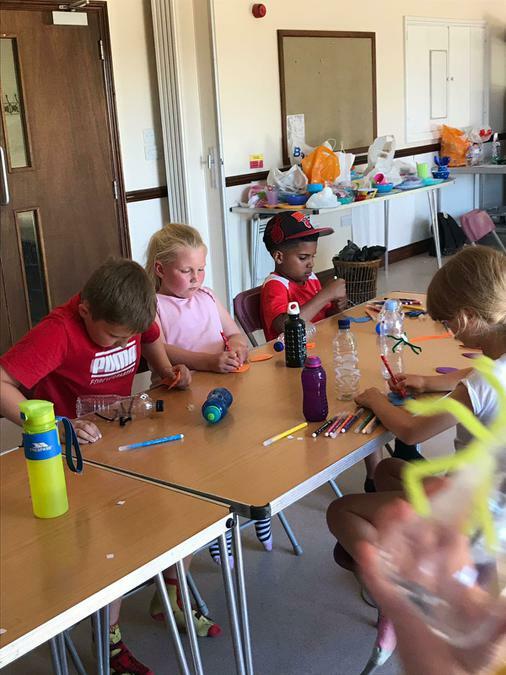 After an action packed afternoon the children have all been enjoying some time to enjoy their 'dorms' and a chance to get in some last minute practice for tonights 'Wymondley's Got Talent'. 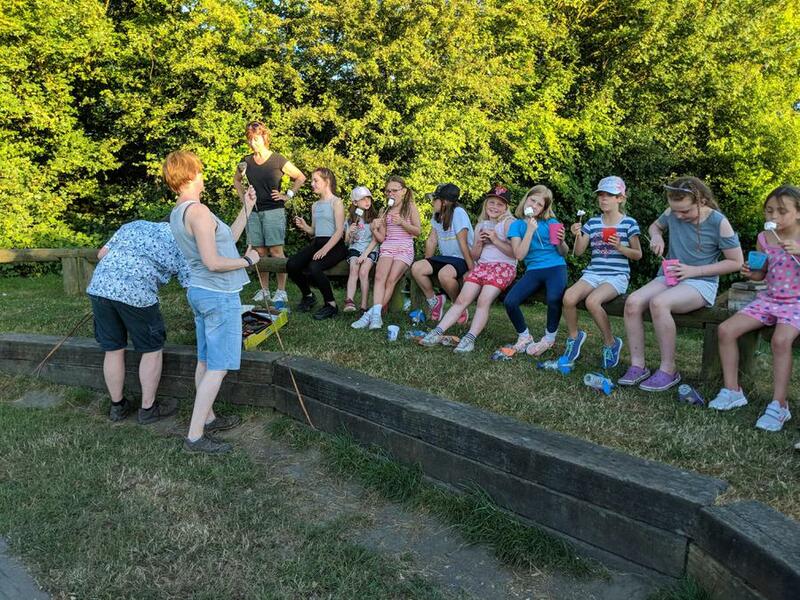 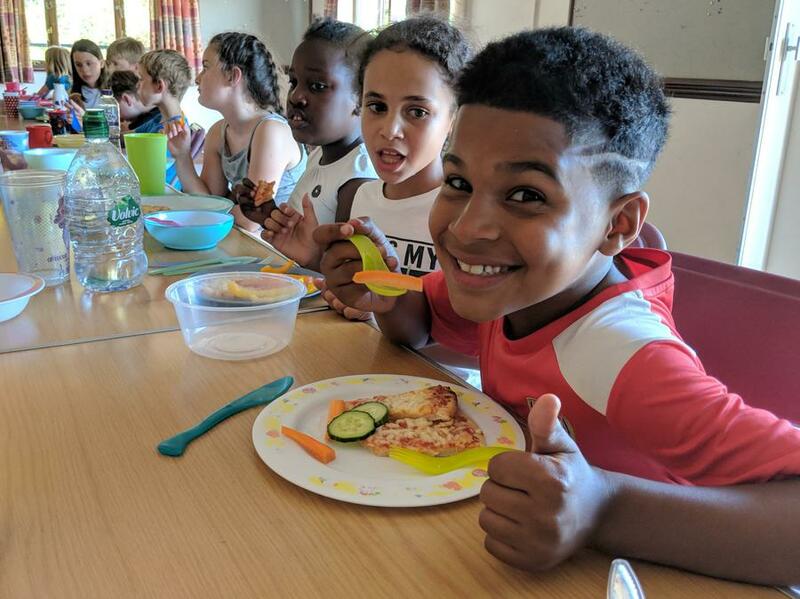 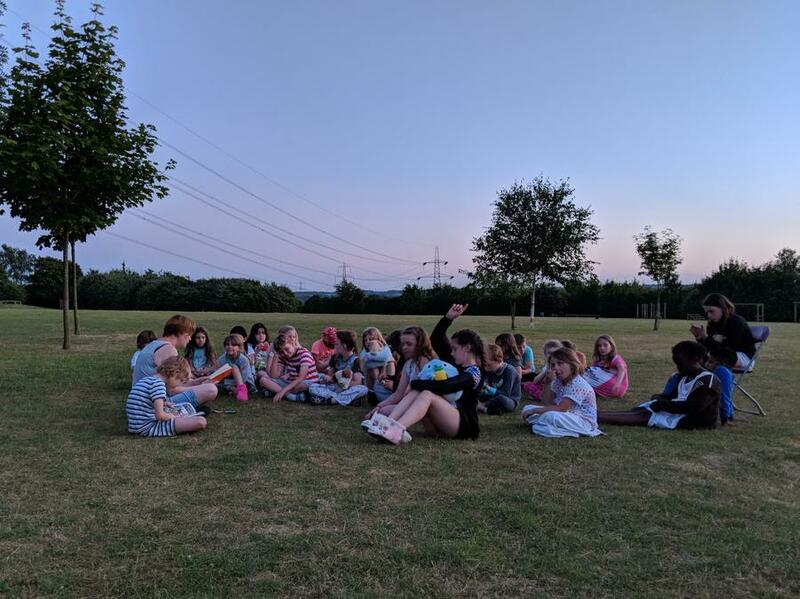 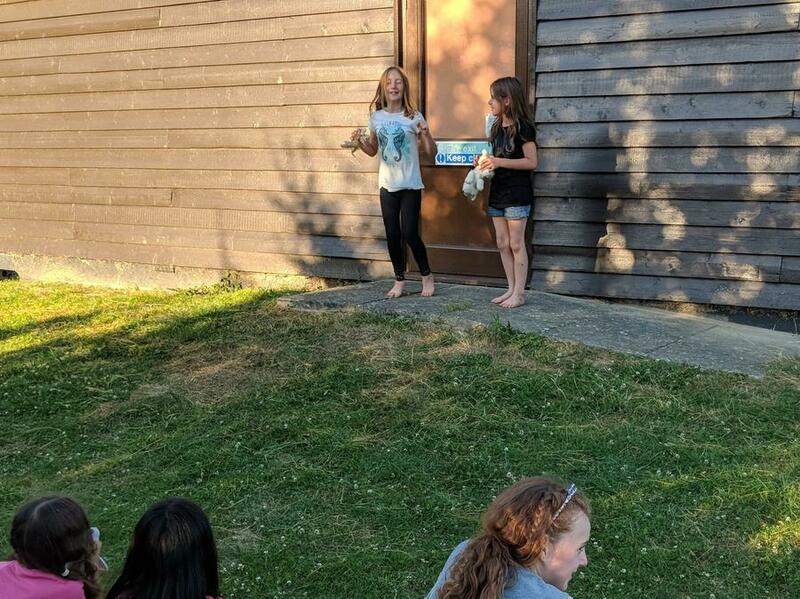 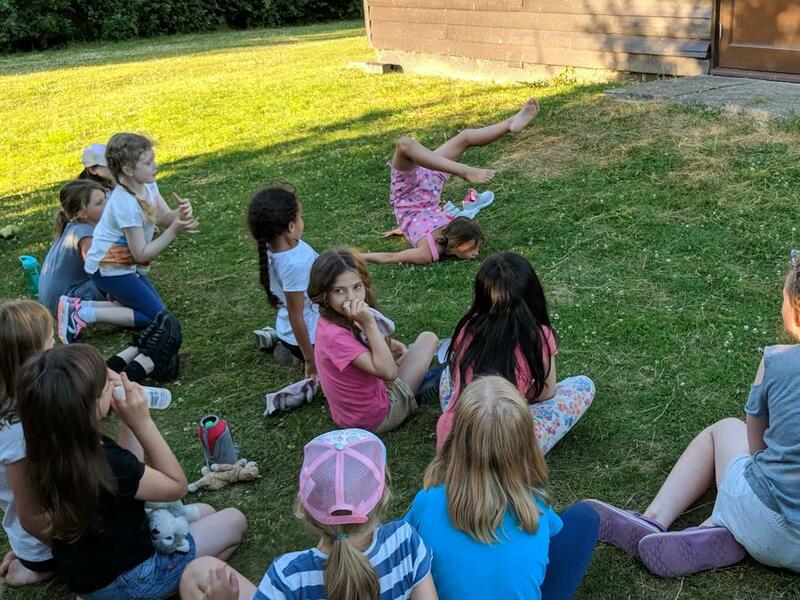 Following a chance to unwind after dinner with the adventure playground, the open grass and some football, the main event of 'Wymondley' Got Talent' was enjoyed by all. 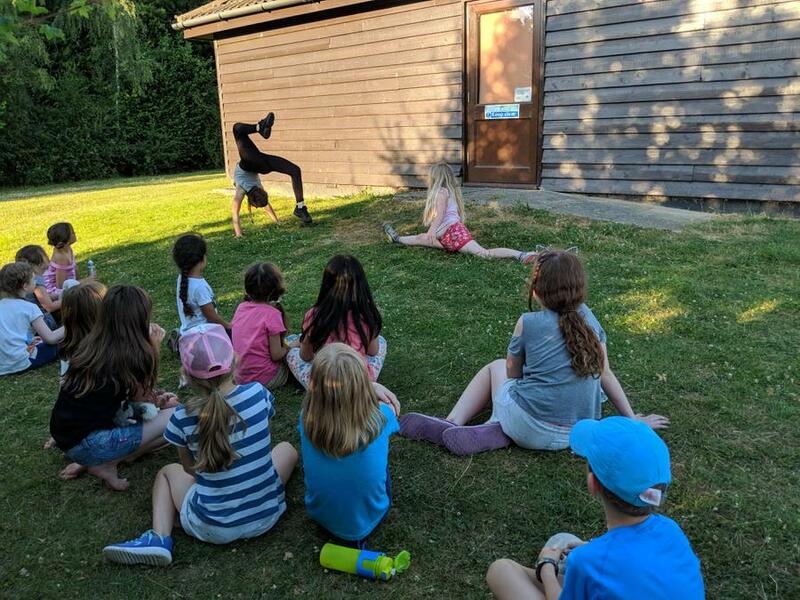 There were many amazing performances to enjoy, from gymnastics to singing, miming to comedy sketches and much more! 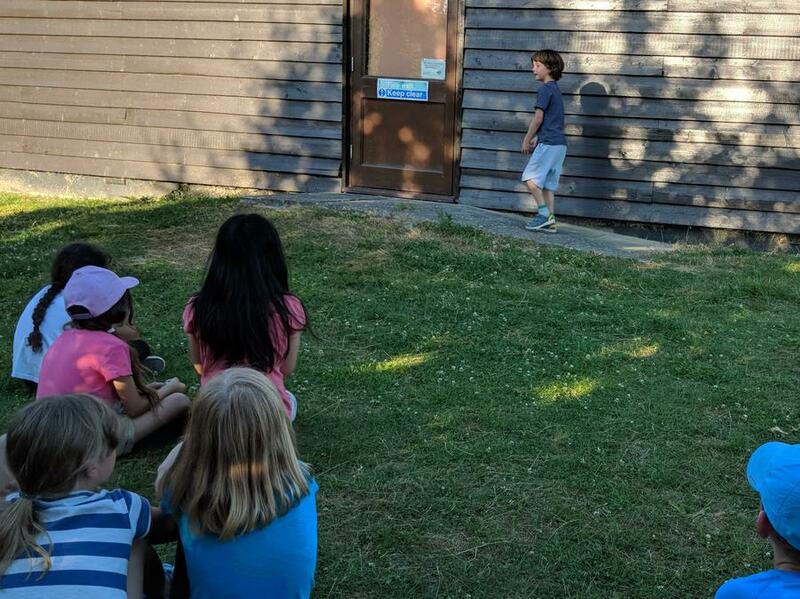 A big well done to all of our brave performers! 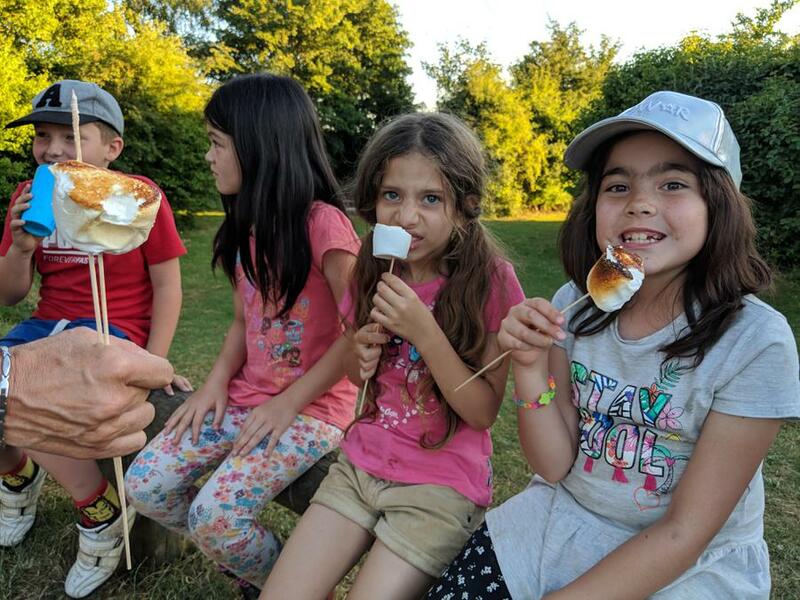 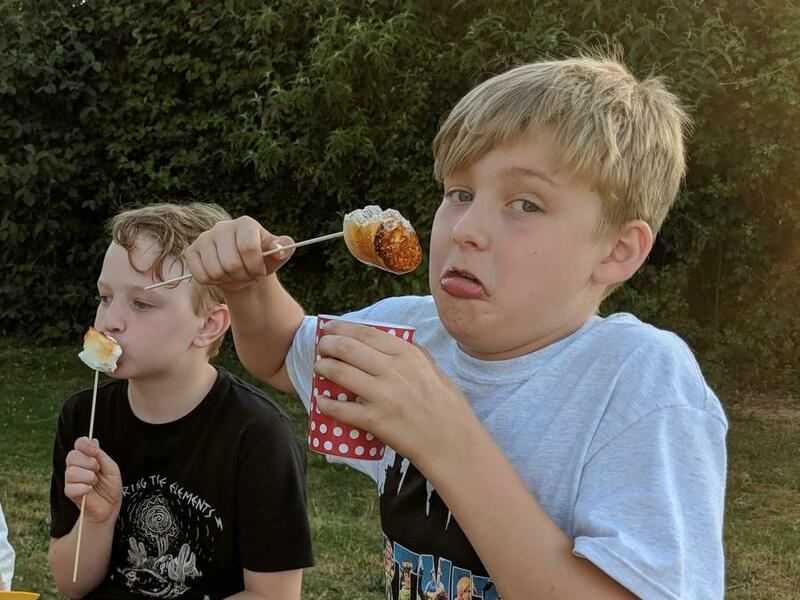 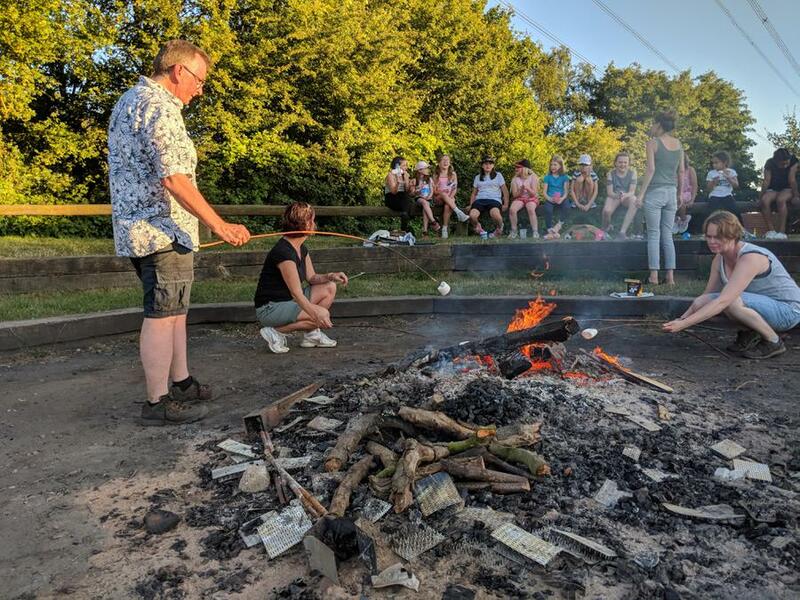 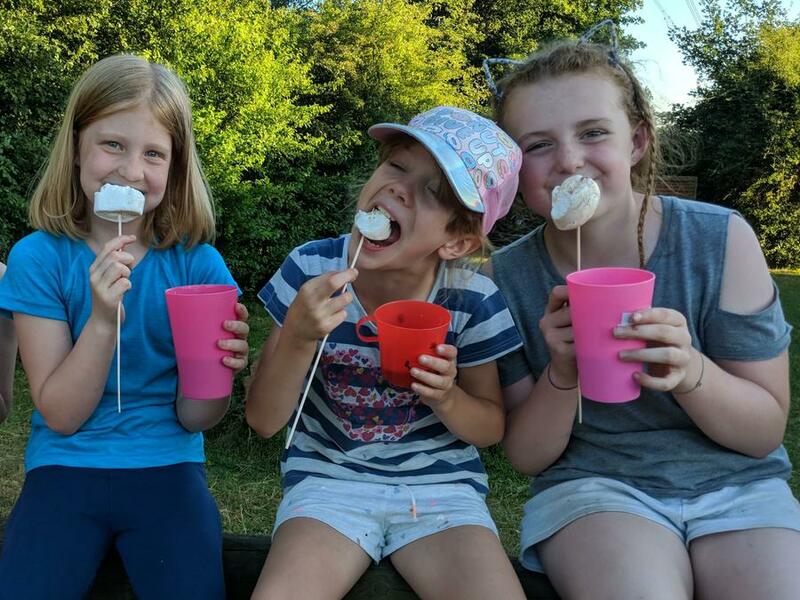 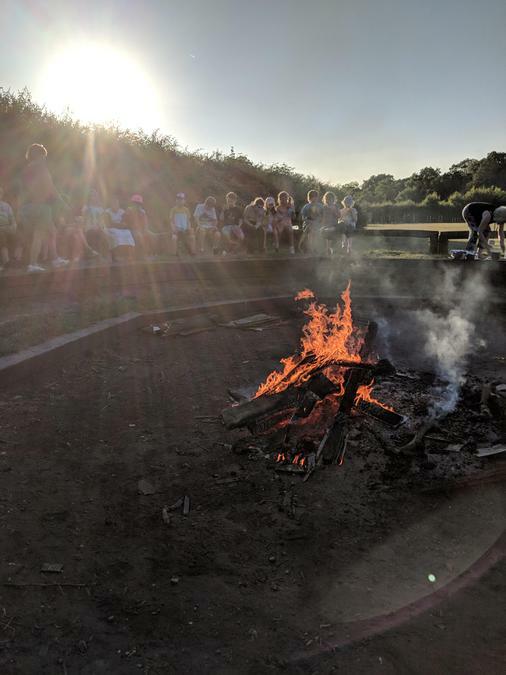 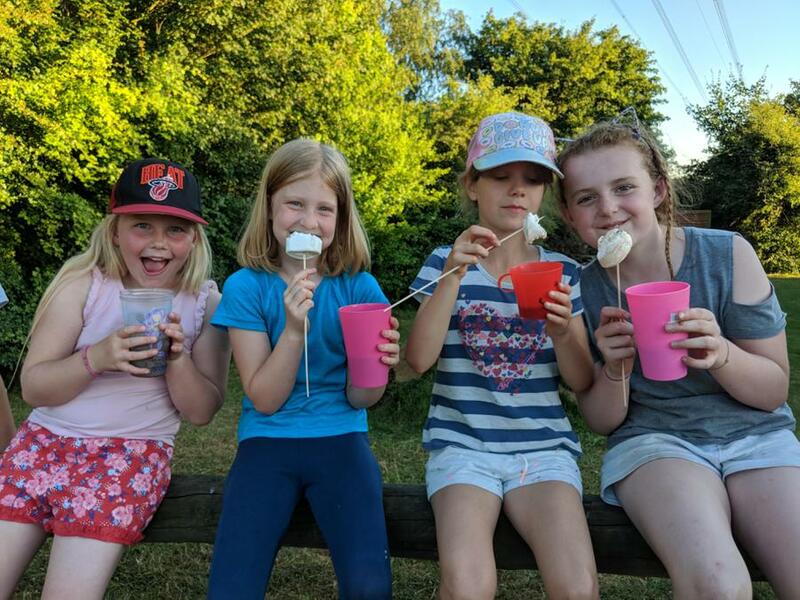 What better way to follow 'Wymondley's Got Talent' than a campfire and some toasted marshmallows! 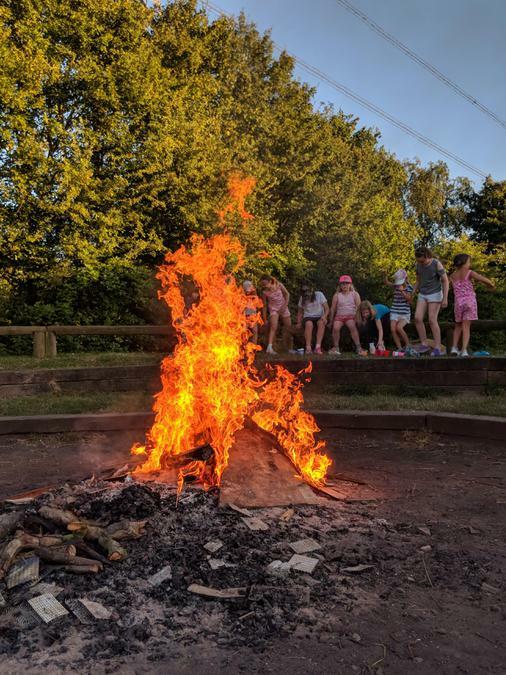 A wonderful way to end to a wonderful day. 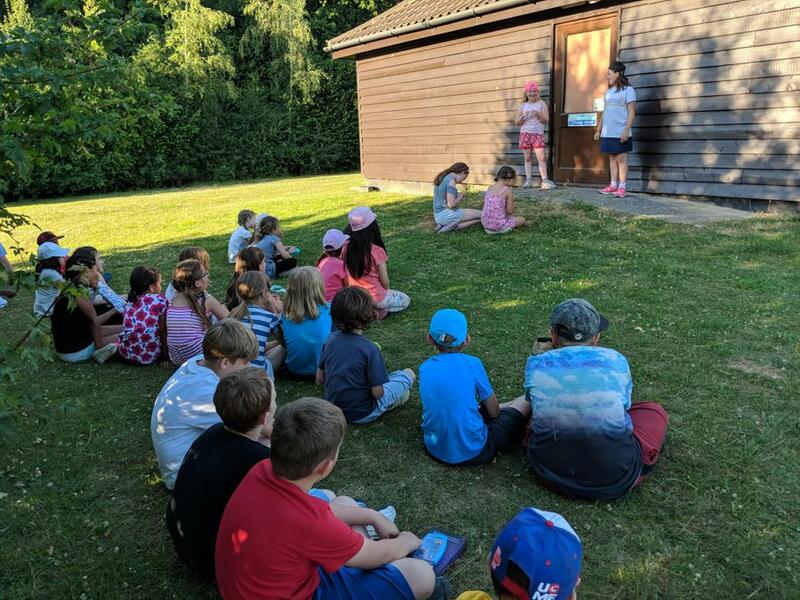 The morning finished with a range of different sporting activities on the field for the children to enjoy. 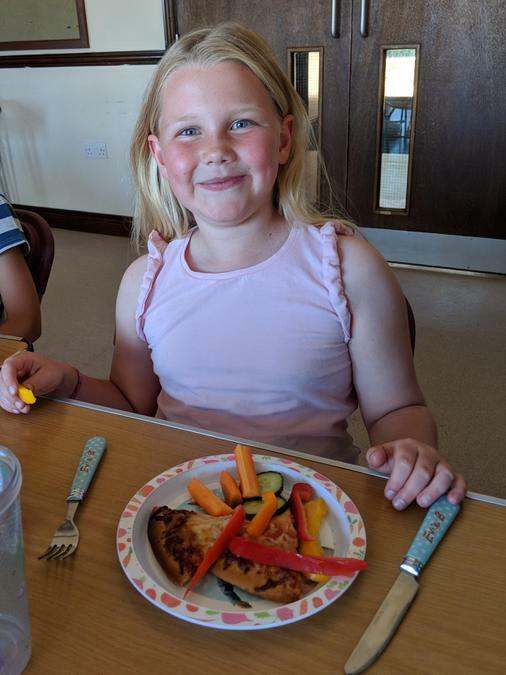 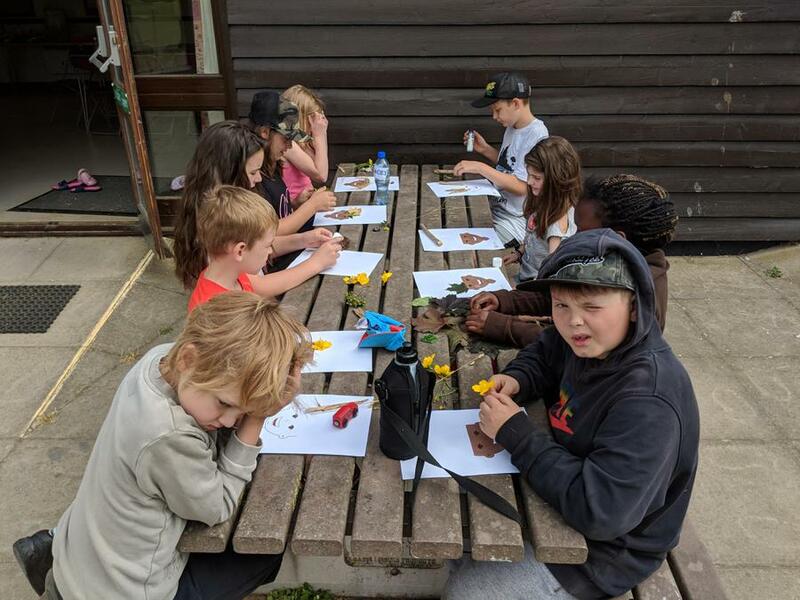 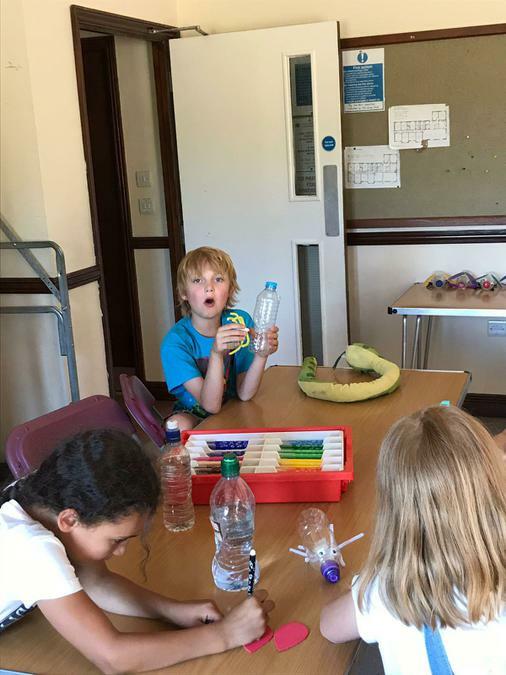 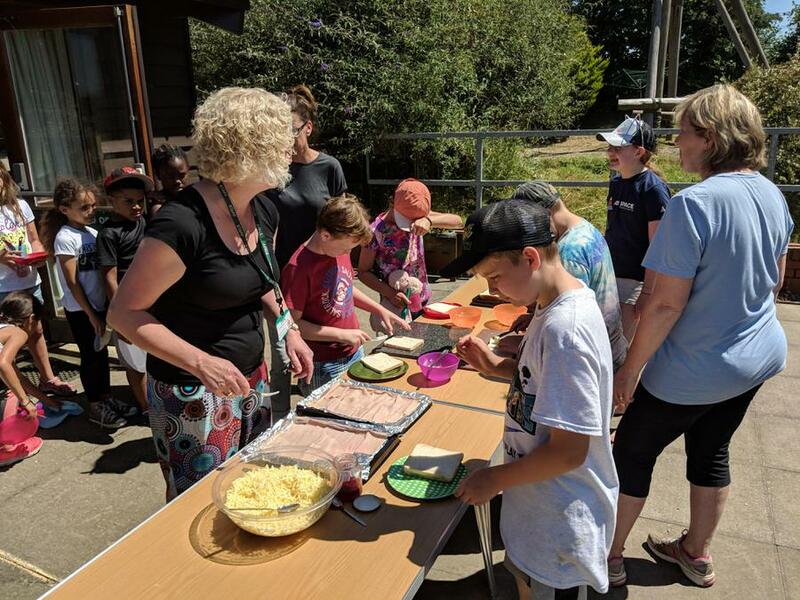 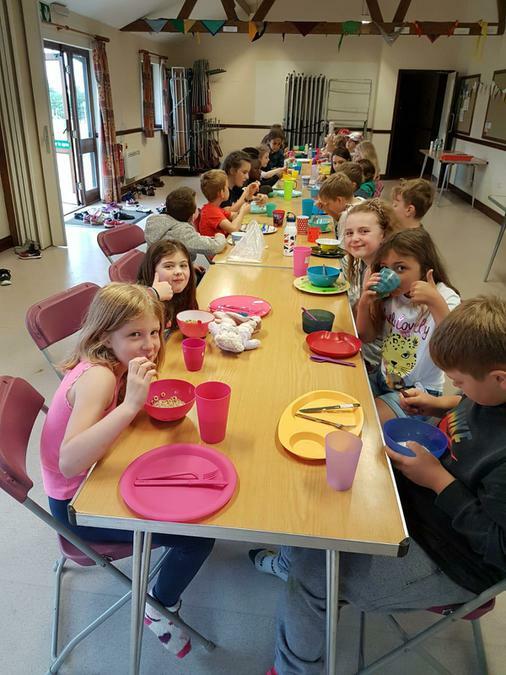 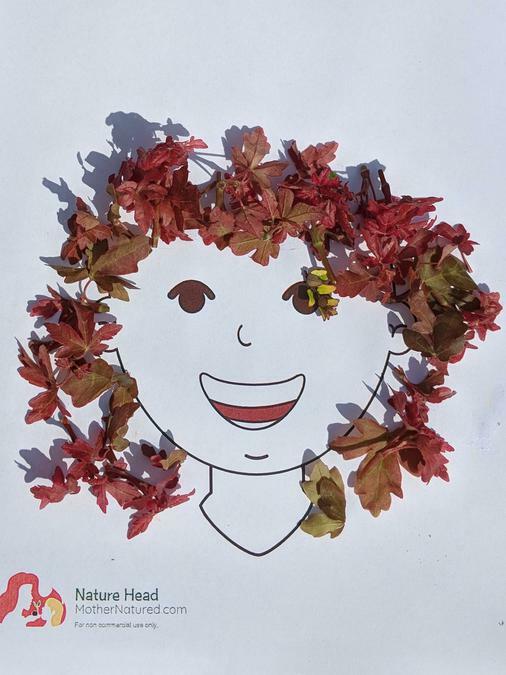 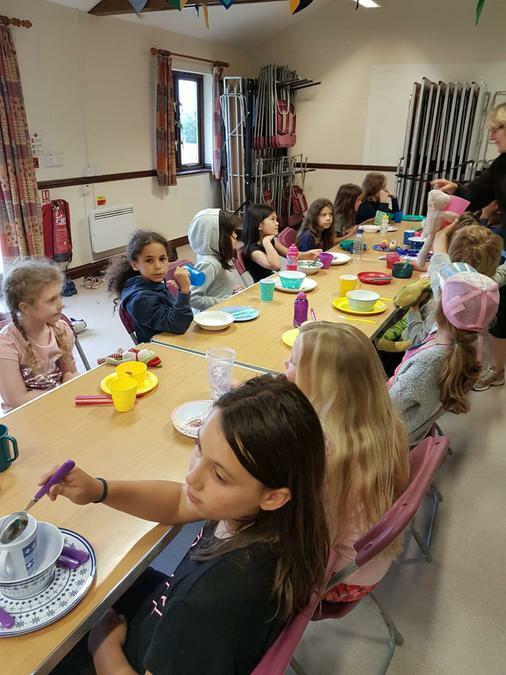 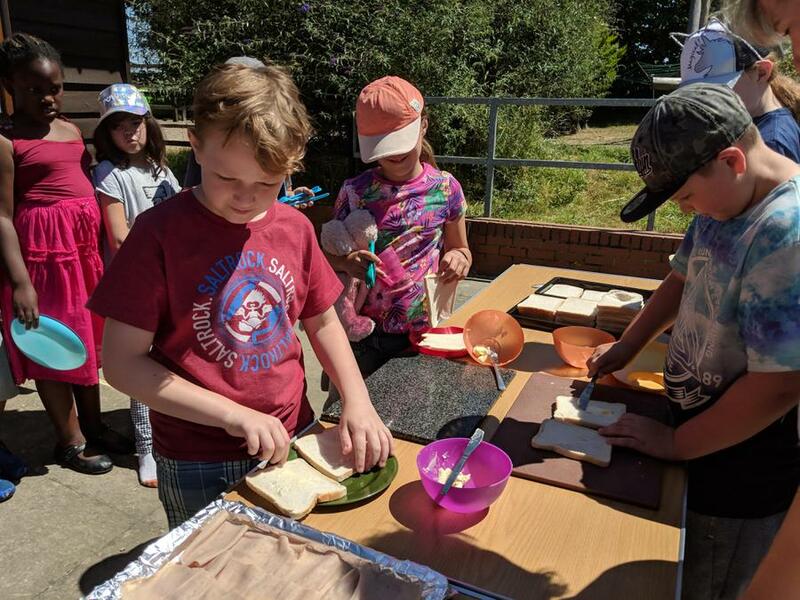 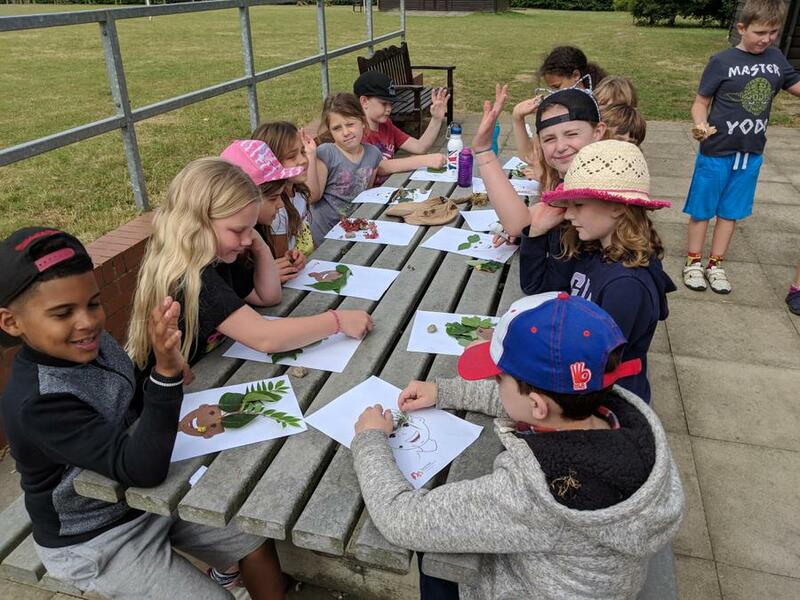 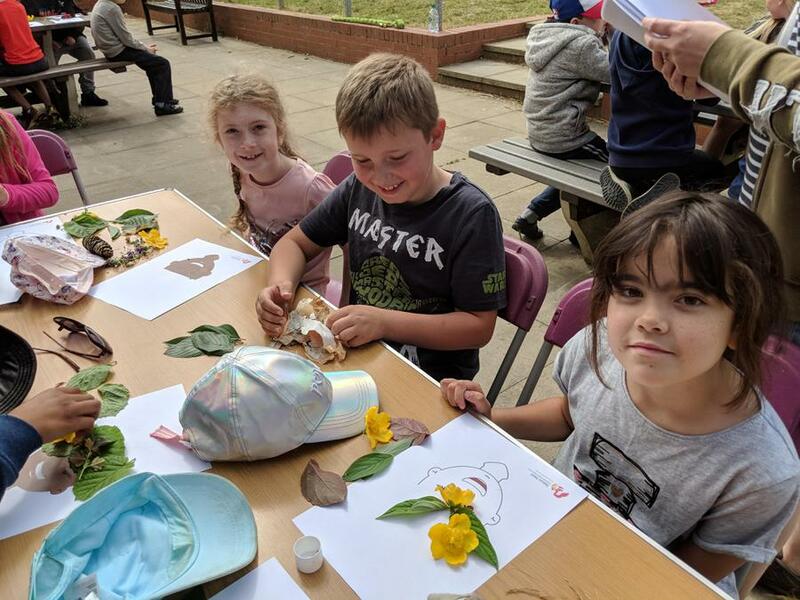 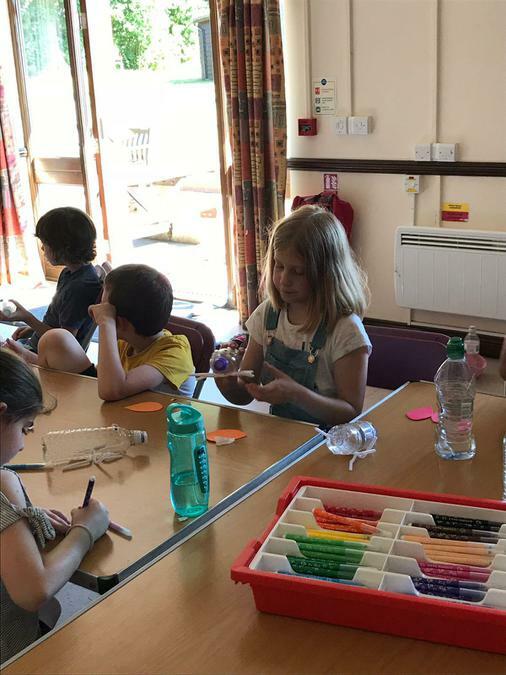 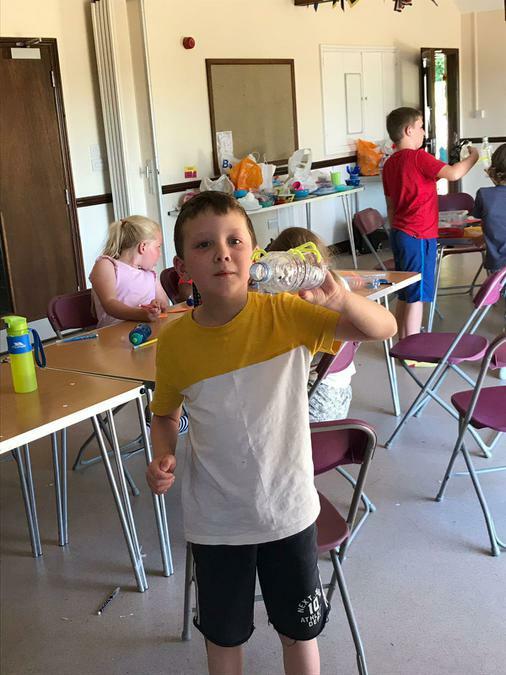 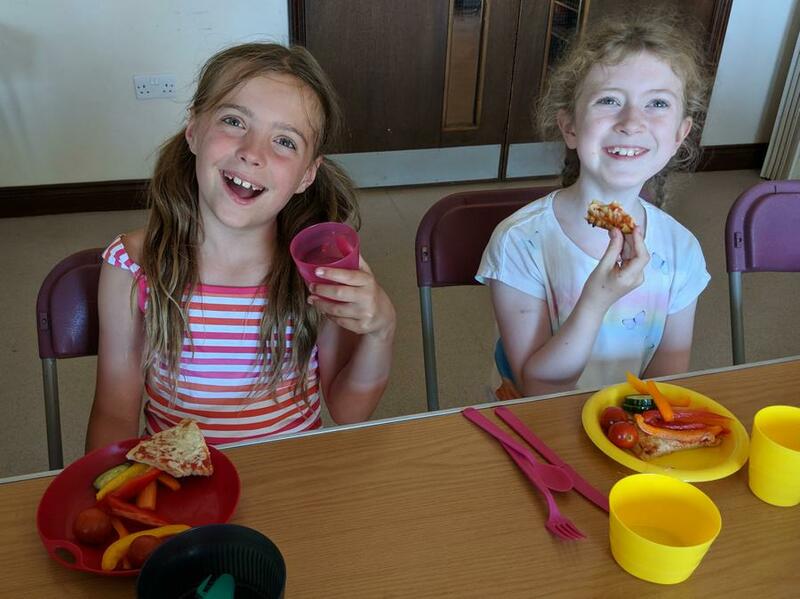 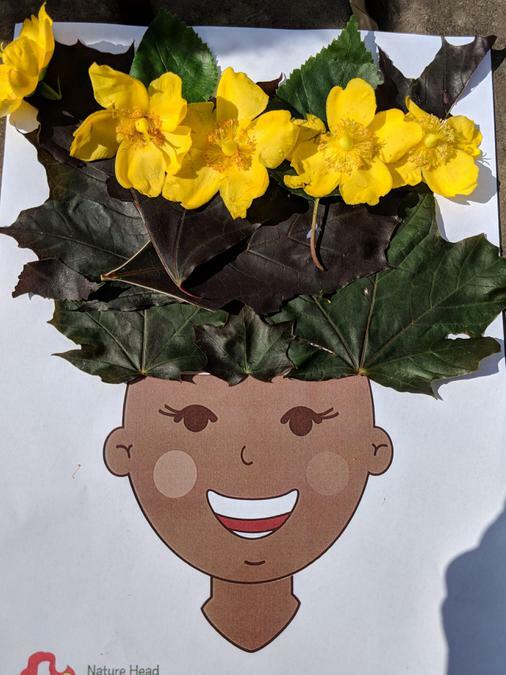 This was followed with the children having the chance to make their own sandwiches for lunch, which they enjoyed in a shady space on the field. 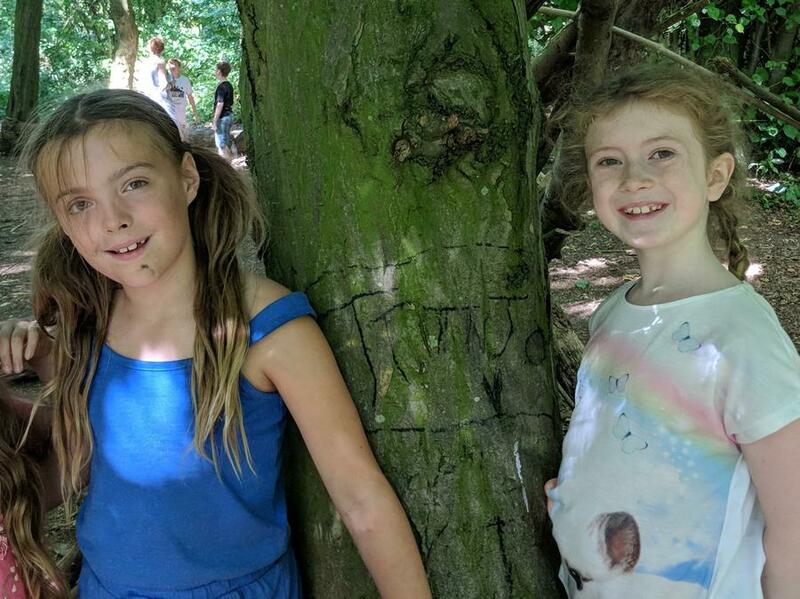 After lunch there was further den building, tree and leaf rubbings and some forest tracking in the woods. 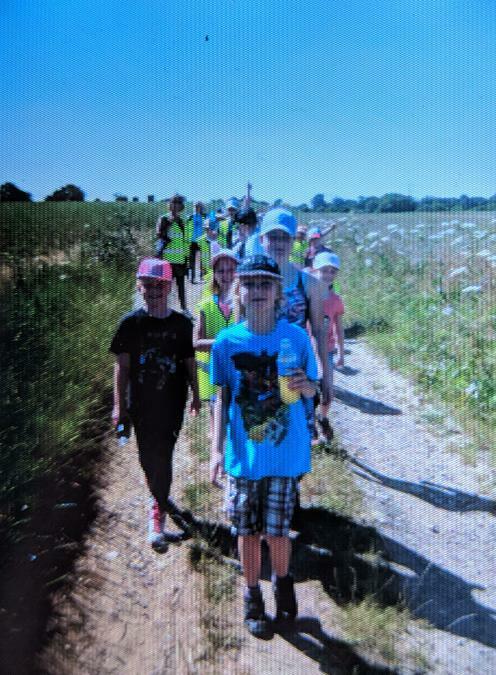 A gentle stroll back to our base brought two days of excitement, adventure and many happy memories to a close. 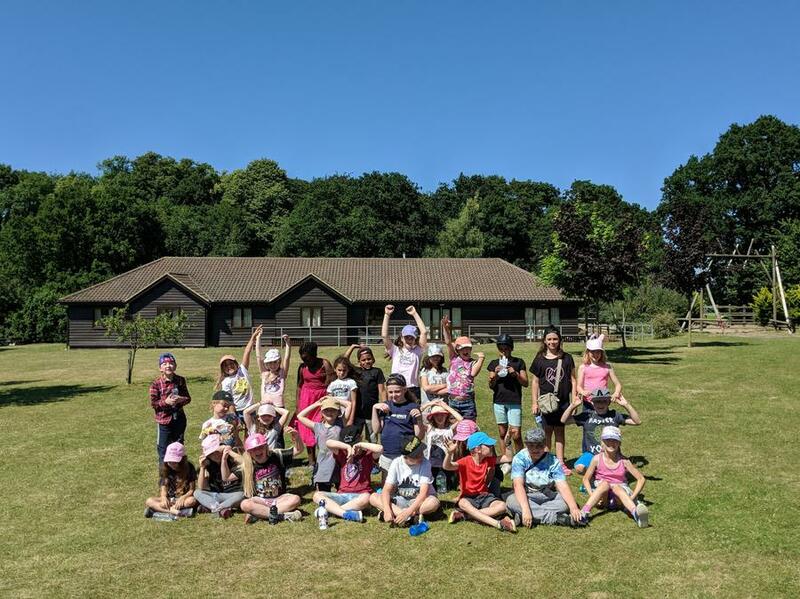 Thank you to Mrs Pearson and her wonderful team for making this amazing experience possible. 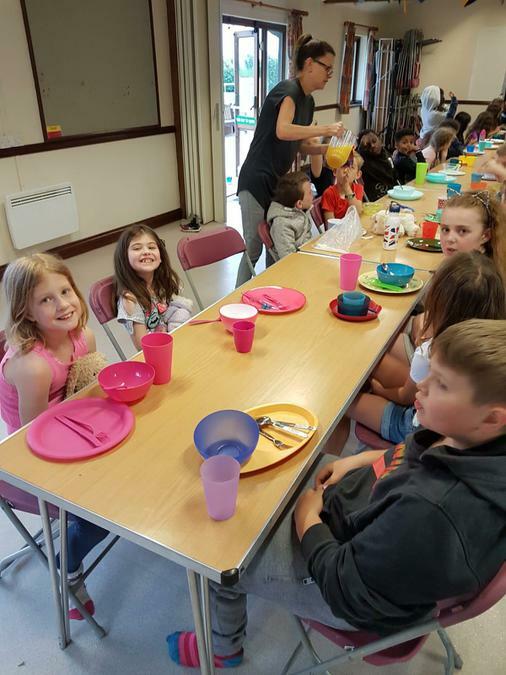 It really couldn't have taken place without your good will, your time and your support.